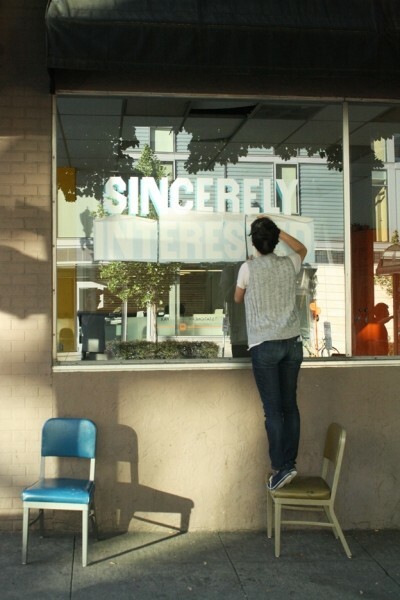 Justin Flood asked me to create a typographic installation at Field Work to express the sentiment of the space. He and I worked together to devise the language, design the statement, and fabricate the letters. 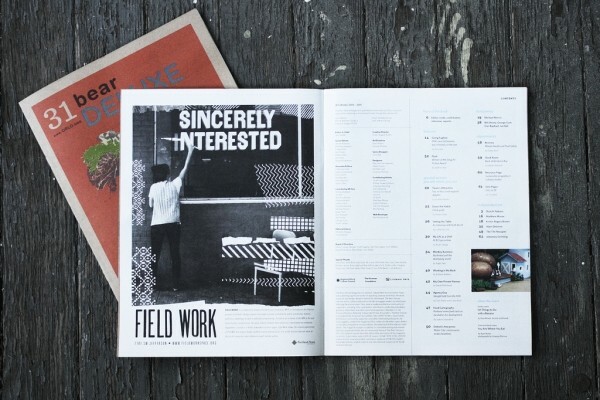 The words SINCERELY INTERESTED come from a piece of writing by Harrell Fletcher called Toward a Tender Society and speaks to Field Work's intention to be a platform for students to engage and collaborate directly with the public in meaningful ways. Justin photographed the installation process for an advertisement in the Bear Deluxe magazine.